Wikileaks founder Julian Assange spoke on the balcony of the Embassy of Ecuador in London in May 2017. 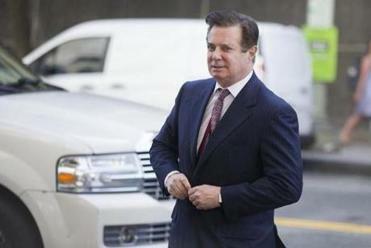 Former Trump campaign manager Paul Manafort’s mystifying decision to lie to federal prosecutors with whom he had a plea agreement — and the speculation that President Trump may have dangled him a pardon — took the spotlight Wednesday. But another man has also been emerging as a central character in special counsel Robert Mueller’s Russia investigation in recent news reports: Julian Assange, the founder of Wikileaks. 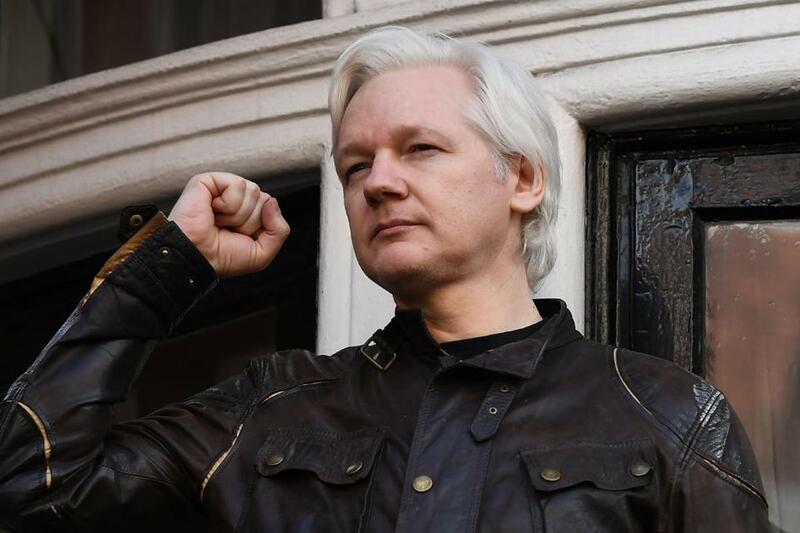 Here are three new things to know about Assange, whose organization published in 2016 thousands of e-mails stolen by Russian spies allegedly in an attempt to help the Republican candidate, Donald Trump, beat his Democratic opponent, Hillary Clinton. The Guardian of London broke new ground Tuesday with a report that Manafort secretly met with Assange in 2013, 2015, and 2016. The third meeting was tentatively dated March 2016. That’s intriguing because it is the same month Manafort joined the Trump campaign and the same month Russian hackers began their effort to penetrate the e-mail accounts of Clinton’s presidential campaign. Manafort and Wikileaks have said the report was untrue. The breakdown of a plea deal and a report about alleged contacts with WikiLeaks founder Julian Assange have put former Trump campaign chair Paul Manafort center stage again. Mueller is keenly focused on whether Americans close to the Trump campaign had any foreknowledge of WikiLeaks’ plans to release hacked material during the 2016 presidential campaign, The Associated Press reports. And Mueller’s team appears to be looking at a second possible link between Assange and the campaign. The team believes conservative author and conspiracy theorist Jerome Corsi tipped off Trump confidant Roger Stone months before WikiLeaks released the stolen e-mails. How did this come to light, considering that Mueller’s team is famously tight-lipped? Corsi himself. He released a document that, he said, had been drafted by prosecutors as part of a plea offer that he has since refused. It offered an unprecedented peek into prosecutors’ work. In late July 2016, the document asserts, Stone e-mailed Corsi, asking him to get in touch with Assange. Stone said he wanted Corsi to try to obtain e-mails the group possessed about Clinton. The document says Corsi passed Stone’s request to an ‘‘overseas individual,’’ whom Corsi identified as Ted Malloch, a London-based academic. ‘‘Word is friend in embassy plans 2 more dumps. One shortly after I’m back. 2nd in Oct. Impact planned to be very damaging,’’ wrote Corsi, who was in Europe at the time. He then told Stone it was time for Clinton campaign chairman John Podesta to ‘‘be exposed as in bed w enemy if they are not ready to drop HRC,’’ a reference to Clinton. Corsi told the AP that the e-mail he sent Stone was based on his own deductions and not the result of any inside information or a source close to the group. ‘‘It’s all a guess. That e-mail — ‘word is’ — is 100 percent speculation on my part, a package so that Roger’s not going to dismiss it because I’m real sure I’m right,’’ he said. He said he had never had contact with Assange and he didn’t obtain any advance knowledge of WikiLeaks’ plans. In the bewildering blizzard of news stories produced by the Trump administration and the Mueller investigation, it might be easy to forget that Assange is already secretly under indictment. The secret indictment was reported by media outlets, based on sources, in mid-November. It’s not clear what the charges are for. While Wikileaks’ role in releasing the hacked e-mails has been under scrutiny, the US government and Wikileaks have also been at odds for years over the organization’s past release of classified US military and diplomatic cables. The New York Times reported that top Justice Department officials told prosecutors over the summer that they could start drafting a complaint against Assange, according to current and former law enforcement officials. Strangely, the secret indictment came to light in a filing in an unrelated court case, when a federal prosecutor apparently cut and pasted a block of boilerplate text and forgot to take Assange’s name out of it. The Reporters Committee for Freedom of the Press is suing to try to get the indictment unsealed, but the organization got a skeptical reception from a federal judge at a hearing Tuesday. While Assange remains protected in the Ecuadorian embassy, where he has been holed up since 2012, there have been indications that officials in that country are losing patience with him: They recently placed restrictions on his use of the embassy, including a requirement that he clean up after his cat, the AP reported. Material from Globe wire services was used in this report.